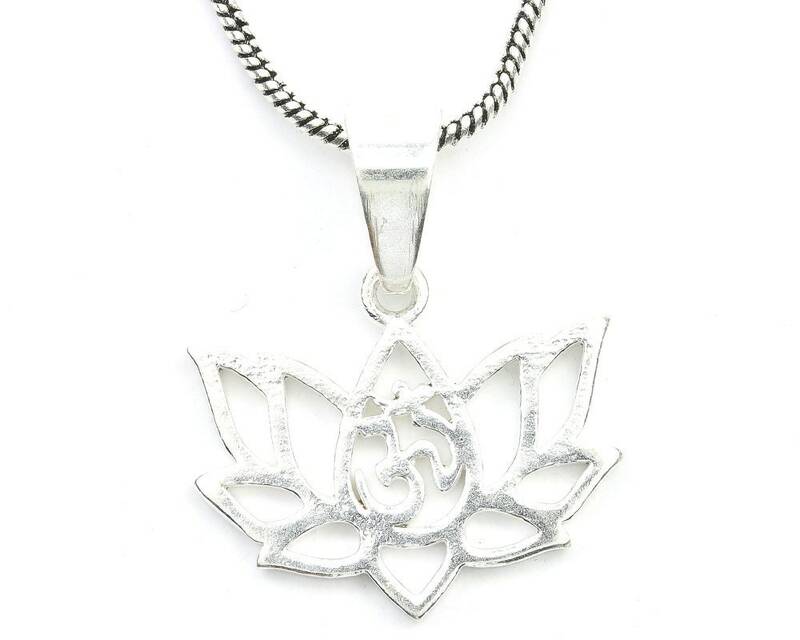 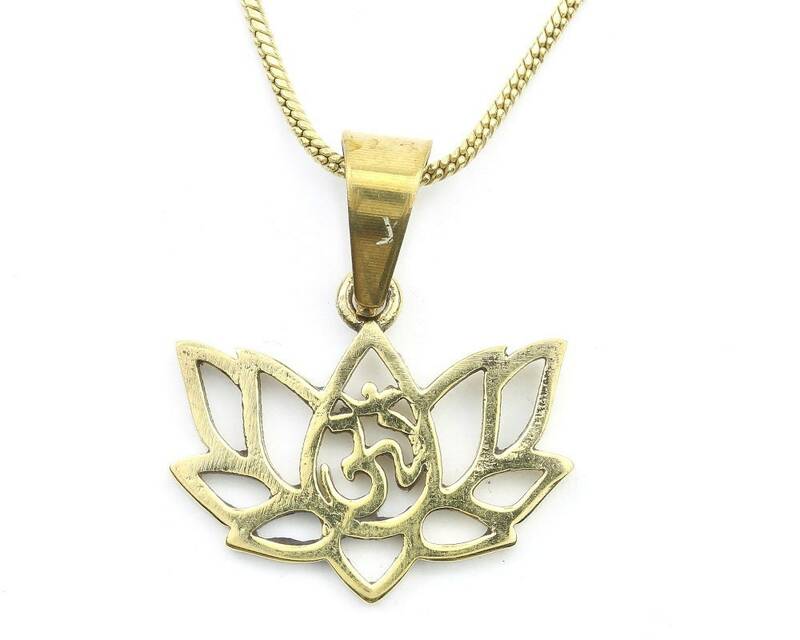 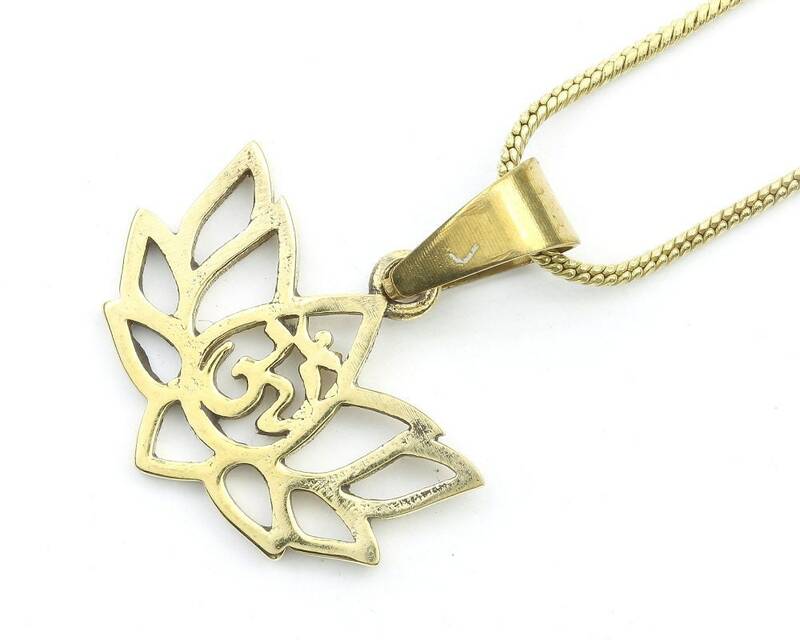 Beautiful open lotus pendant with center Om. 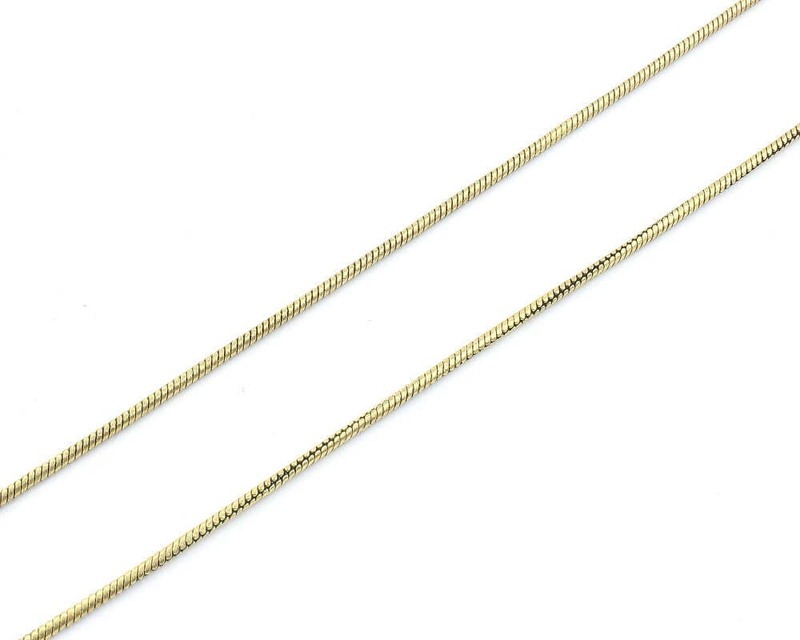 Choice of chain length 20 or 24 inch. 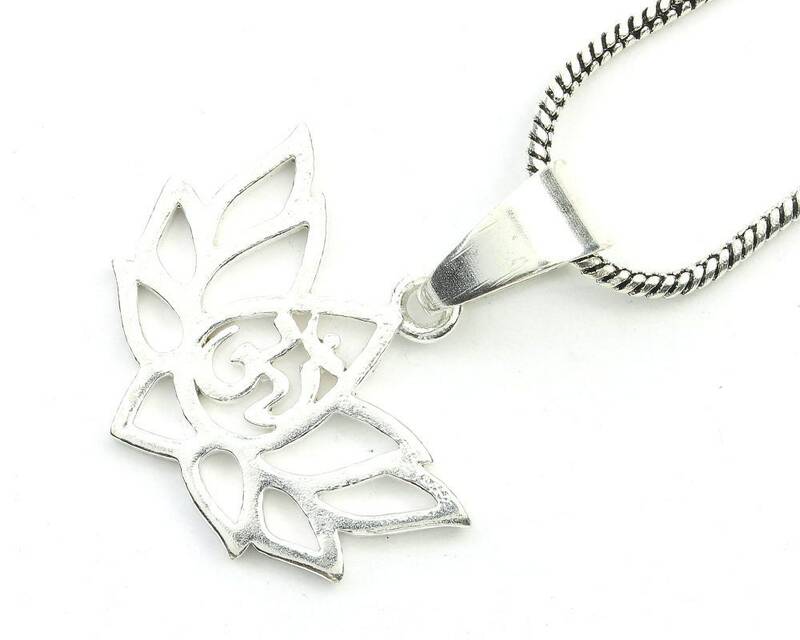 Pendant Length (with hook): 1 1/8"